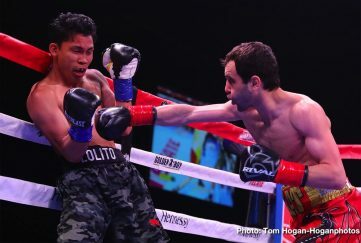 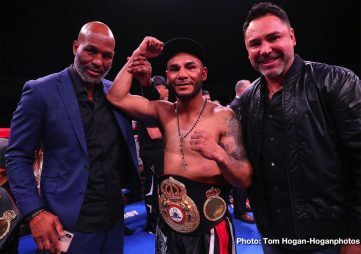 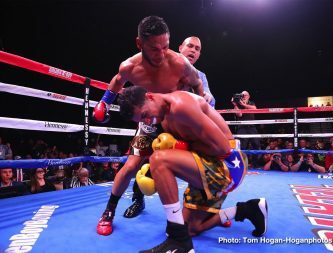 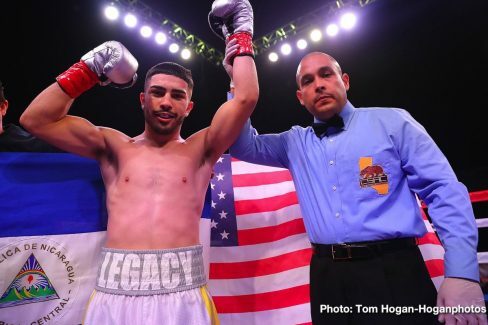 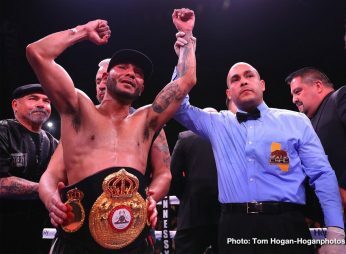 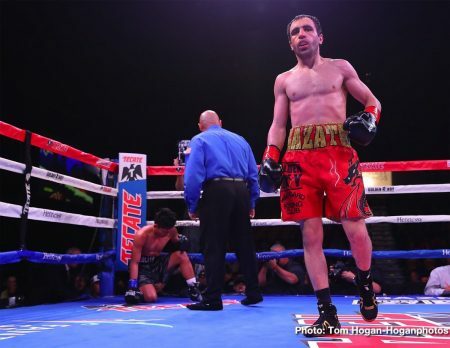 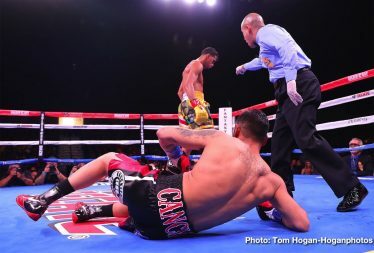 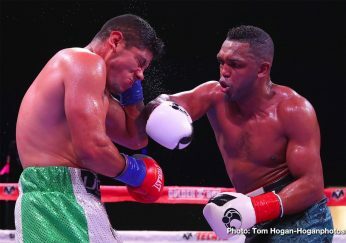 In front of a sold-out crowd at Fantasy Springs Resort & Casino on Saturday night, Andrew Cancio rebounded from a first-round knockdown to upset Alberto Machado to win the WBA Super Featherweight Title in a thrilling performance. 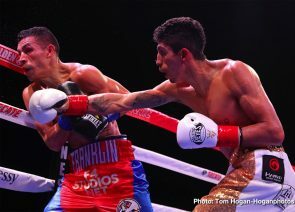 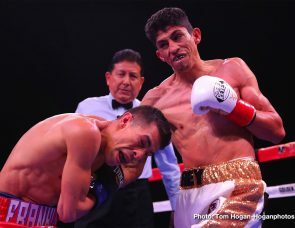 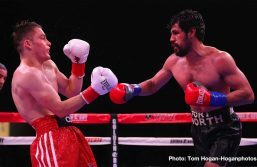 In a co-main event that saw both men hit the canvas, Rey Vargas defeated Franklin Manzanilla to retain the WBC Super Bantamweight Title. 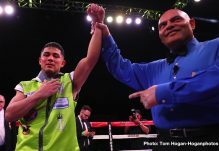 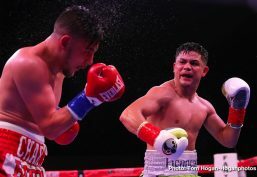 Joseph “JoJo” Diaz Jr. moved up to 130 pounds and defeated his friend Charles Huerta by unanimous decision, and the new WBC Continental Americas Lightweight World Titlist Adrian Estrella outlasted Oscar Duarte in a 10-round battle. 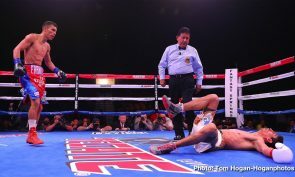 12-round WBA Super Featherweight Title Bout @ 130 lbs. 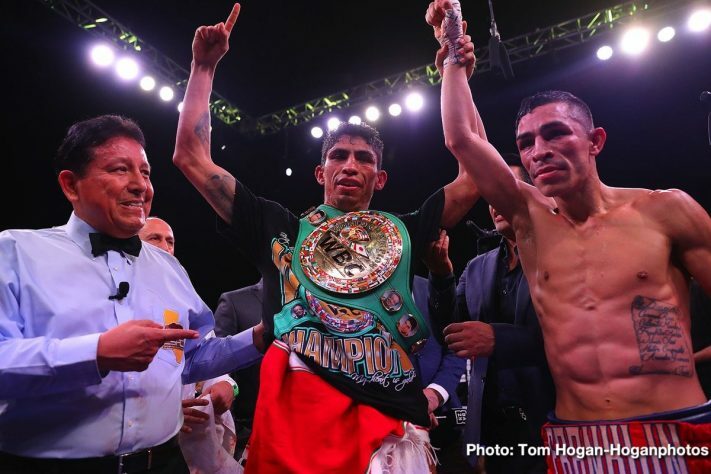 12-round WBC Super Bantamweight Title Bout @ 122 lbs. 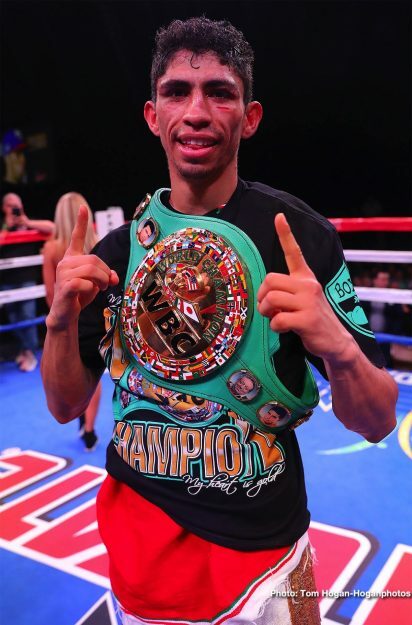 10-round Vacant WBC Continental Americas Lightweight Title Bout @ 135 lbs. 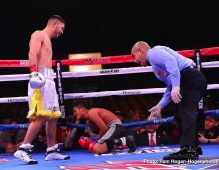 Boxing on DAZN returns Saturday, Feb 23 from Tijuana, Mexico when Brandon “Bam Bam” Rios squares off against Humberto Soto.